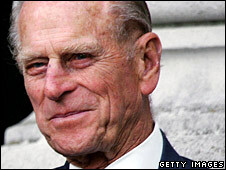 The Duke of Edinburgh is to spend a third night in hospital where he is being treated for a chest infection. Prince Philip, 86, is being treated in King Edward VII's Hospital in London after developing a heavy cold which caused him to cancel engagements. Royal officials have emphasised that the hospital stay is a precaution rather than an emergency. Well-wishers including the actress Joanna Lumley have delivered flowers to the hospital. He had cancelled engagements last week including attending a memorial service for Everest hero Sir Edmund Hillary. The duke's last official public role was during French President Nicolas Sarkozy's state visit to Britain on 26 March. A spokeswoman said that none of Philip's engagements for next week has been cancelled. On Monday, he is due to attend two engagements at Windsor Castle, a council meeting and a dinner to mark the 60th anniversary of the establishment of the State of Israel. He is also scheduled to accompany the Queen on a visit to the Britannia Royal Naval College in Dartmouth on Thursday. The duke is said to have brought in correspondence and paperwork to occupy himself during the hospital visit. He is being treated by Professor John Cunningham, whose speciality is general medicine. The duke is known for his active lifestyle and good health. "It's very striking when you go out with him and follow him about that he keeps a pretty fast pace," BBC royal correspondent Peter Hunt said. "He has been up until now in very robust health." 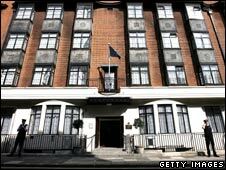 Dr John Moore-Gillan, a lung specialist at St Barts and the Royal London Hospitals and vice president of the British Lung Foundation, told the BBC: "Whenever people hear that someone has been admitted to hospital, particularly when they're in their mid-80s, it's understandable that they are concerned. "But the overwhelming majority of people with chest infections are going to make a rapid and complete recovery and that is particularly the case when they are generally fit and healthy for their age."